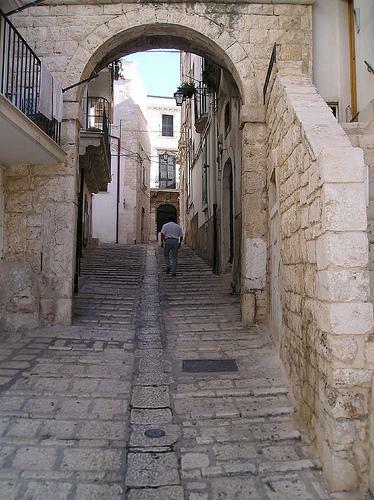 The origins of the city date back to the Iron Age, when the indigenous peoples, iapige or peucete, founded on a hill higher than the surrounding area a city named Norba and endowed it with massive stone walls (the toponym, not unique in Italy, in fact it would mean “fortified city”). The city had a happy location, as it was along an important road axis. This soon made it a thriving settlement, at the center of the traffic between the magnegeche colonies of the coast and the indigenous peoples of the interior. The wide necropolis dating back to the VI century BC in fact, he returned tens of graves with rich funerary equipment, partly of Hellenic origin. 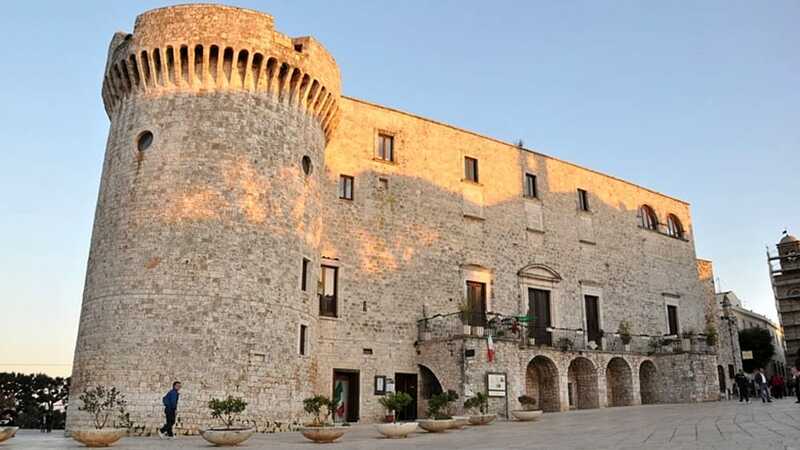 The Castle of Conversano stands on the highest point of the hill on which the city stands, in a position that can dominate the entire surrounding area up to the sea, and bounds the ancient largo della Corte, a large irregularly shaped square always the center of city life. Of the castle, which today presents itself as a citadel in stone made up of buildings belonging to different eras and architectural tastes, one can now appreciate the impregnable appe arance, now the refinement of the later aristocratic environments. 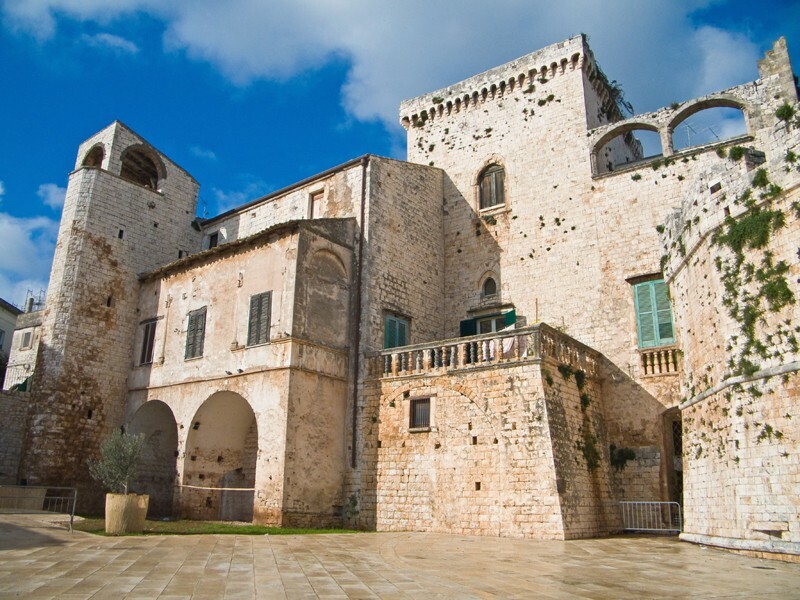 It has been the residence of the Counts of Conversano for almost seven centuries, since the Norman era. However, its history is much older: probably at the time of the Greek-Gothic war (VI century AD) on the same place there was a defense building that incorporated a section of the megalithic walls of the ancient city of Norba. Currently the castle is only partially acqui red to the municipal heritage, while some wings – including the bridal chamber decorated with scenes of the Old Testament by Paolo Finoglio – are still private property. In the public area of ​​the building there is today the Civic Art Gallery which displays the large canvases of the cycle of Gerusalemme Liberata, always the work of Finoglio.